The 7th WG meeting of COST UAE took place from September 21th until September 24th 2015 in Milan, Italy. It was hosted by the Politecnico di Milano and patronised by the worldwide Exposition “Feeding the Planet Energy for Life”, taking place in Milan from May 1st until October 31th. The programme of the meeting included a conference open to the public, two plenary sessions, the working group and MC meetings, and a field trip to Milan urban and peri-urban agriculture projects. The first day was dedicated to the presentation of Urban Agriculture experiences in Milan metropolitan region to the Cost members and, at the end of the day a visit to Cascina Linterno in Milan was organised, a best practise project of preservation of ancient buildings and traditional agricultural techniques together with the enhancement of cultural functions. The second day was dedicated to a field trip in Milan area touching many historic farms where UA was well integrated: Battivacco urban farm and Rice fields Park with a presentation of Lucia Nordio (farmer), Parco delle Risaie Association, Simona Salteri (architect) and Alessandro Caramellino from Parco Agricolo Sud Milano; Tavernasco farm in Zibido San Giacomo where the traditional marcite (water meadows) were explained by the farmer Angela Rossi; Femegro farm in Zibido San Giacomo presented by Francesca Pesenti, farmer and vice mayor of Zibido San Giacomo; MuSa laboratory of landscape and taste set up in a former stable of an ancient farm in Zibido San Giacomo, presented by Andrea L’Erario (architect). At the end the group were received in Sant’Ambrogio farm, back to Milan and visited the restored frescos of the church apse and the community gardens illustrated by Andrea Volsa of Cascinet association. The third day was the open conference day: a presentation of the COST Action was made by Frank Lohrberg, chair of the Action and Lionella Scazzosi, vice chair of the Action and local host of the conference; welcome addresses were delivered by Giovanni Azzone, Rector of Politecnico, Alessandro Balducci, council member of Milan municipality in charge of Urban Planning and professor of Urban Planning at Politecnico, Claudia Sorlini, president of Scientific Committee for Expo 2015. A text of greeting from International Scientific Committee on Cultural Landscapes ICOMOS-IFLA was read and more greetings came from Francesca Neonato, from Italian Federation on Landscape Architects- AIAPP. A brief presentation were made by Amy-Louise Dent, European Commission Task Force EXPO Milano 2015 and Maguelonne Dejeant-Pons, Council of Europe/CEP the UNWE. The presentation of the results of each working group of the Action followed in the morning: dimensions of UA, by Marian Simon Rojo; Policies and governance models on UA, by Joëlle Salomon-Cavin; business models of UA, by Pedro Mendes Moreira; spatial issues by Lilli Licka; metabolism of UA by Chiara Tornaghi and case studies by Lionella Scazzosi. At the end of the morning the Italian UA network was presented by Paola Branduini, Raffaella Laviscio and Giulia Giacchè: there are the first results of a collective work about Italian experiences of Urban Agriculture analysed following the methodology elaborated during the Cost Action. 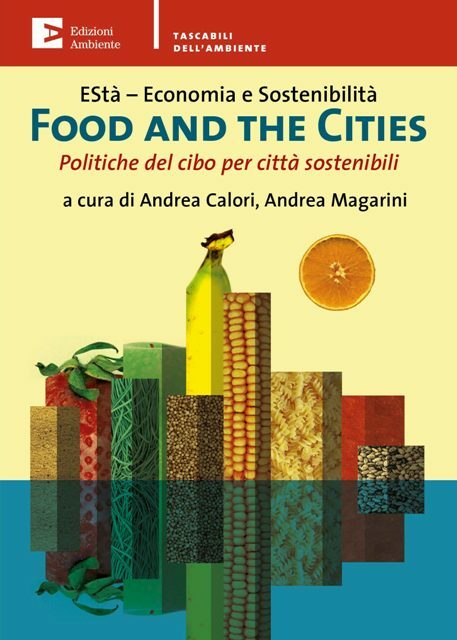 During the conference took place the exhibition of posters collecting Italian cases elaborated by the members of the Researcher Network on Urban and Periurban Agriculture and Food Planning. The afternoon was divided in two podium discussions. During the first discussion Frank Lohrberg presented the results of the COST UAE map and many experts talked about European Urban Agriculture in a global perspective: Joe Nasr from Ryerson University (Toronto) and Makoto Yokohari from University of Tokyo, Gaëlle Janvier from Alternatives association, Montréal and Laurence Fauteaux from Municipality of Montréal together with some local experts as Andrea Calori (EStà – Economia e Sostenibilità, Milan), Paola Caputo (Politecnico of Milan) and other researchers and social actors. At the end of the Conference day the presentation of Carrot City exibition at Politecnico took place: “Carrot City, designing for Urban Agriculture” is a travelling exhibition, conceived by Joe Nasr, June Komisar and Mark Gorgolewski from Ryerson University of Toronto, collecting worldwide experiences of designing urban places at different scales for urban agriculture. The exhibition collect 32 panels coming from Bologna Urban Center and enriched by two more panels about Milan experiences.